- Any Skis Snowboard or Splitboard- "Mountains In My Mind"
Ride a slice of one of Chili’s most celebrated pieces, a mountain landscape that exists solely in his imagination. Choose any Prior ski, snowboard or splitboard you want. Any board(s) any size! 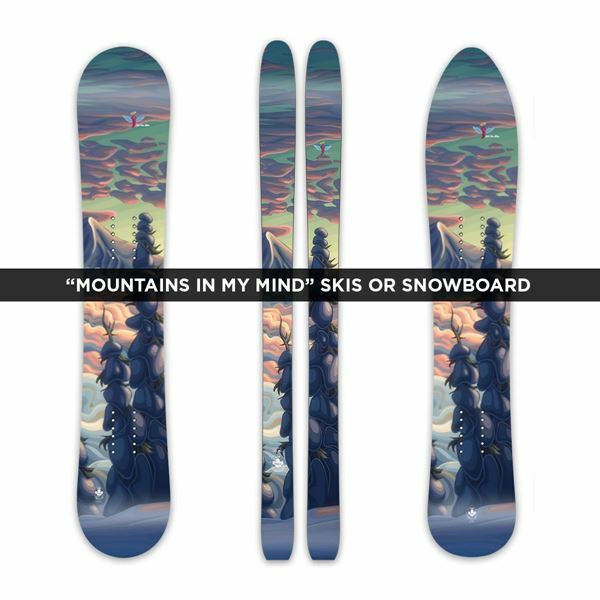 Your choice of any Prior skis, snowboard or splitboard. 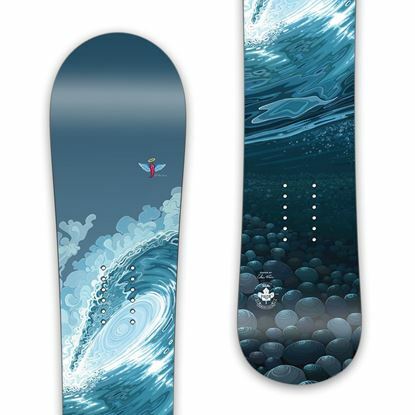 Built to the size of your choosing, your custom setup will feature the "Angel Edition" of Chili Thom's "Mountains In My Mind" topsheet. 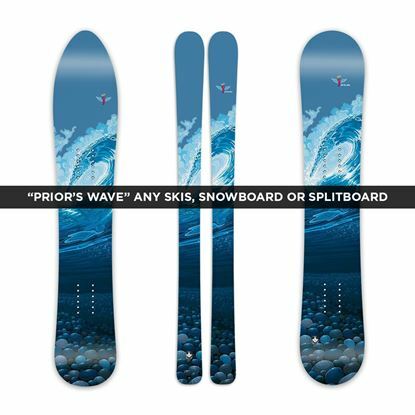 - Any Skis Snowboard or Splitboard - "Prior's Wave"